For centuries, Pioneer Park has and continues to be a refuge for those who hope to make Salt Lake City their home. 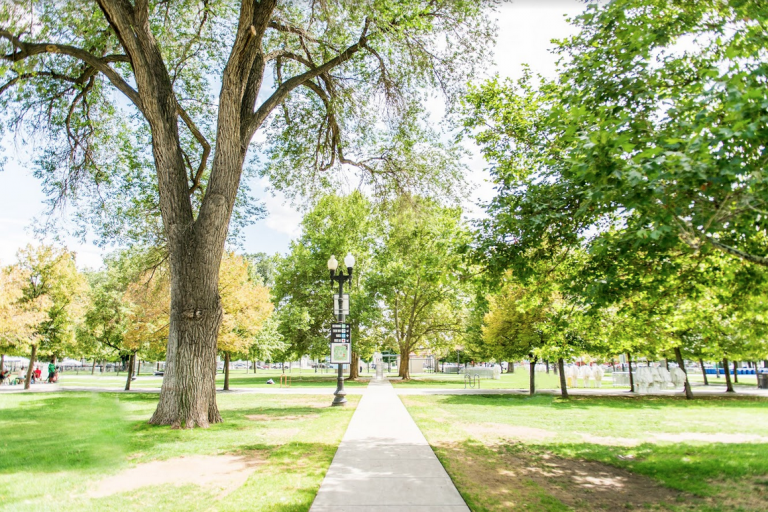 Our park sits on a 10-acre plot of land, named for Mormon settlers who established Salt Lake City. It hosted many First Nations encampments over the centuries for the same reason it drew the pioneers: natural springs and a source of water. In July of 1847—a week after their arrival in the valley—the eponymous pioneers began construction of a walled fort for arriving settlers from around the world. For twenty years, this space was a place of rest and reprieve for those who hoped to make Salt Lake City their home. By 1890, the area was used as a playground, and on Pioneer Day, 1898, the location was dedicated as one of Salt Lake City’s first five parks. Over the next century, the neighborhood continued to be the gateway to the state for waves of new pioneers including Greek, Italian, Japanese, Mexican, and Chinese immigrants, to name a few. But with shifting priorities and changing demographics, the park fell into disuse and disrepair. Today, the Pioneer Park neighborhood is a hive of activity. Salt Lake City residents, entrepreneurs, and those experiencing homelessness use the park daily, and visitors flock to signature events like the Twilight Concert Series and the Downtown Farmers Market. Pioneer Park is still the heart and soul of the Rio Grande neighborhood, and now a new generation of pioneers looks to what will come next for these fabled 10 acres. Downtowns across the nation are seeing renewed interest as Baby Boomers and Millennials return in droves to work, play, and live. Our downtown was once only home to a small number of residents, whereas today over 10,000 people reside therein, with thousands more residential units being planned or are under construction. While changing tastes and priorities are contributing to downtown Salt Lake City's revival, much of the growth is a direct result of decades of work done by committed residents, entrepreneurs, artists, and their allies in government. The timing for major improvements couldn’t be better. Salt Lake City has a strong regional economy, a growing downtown population, and alignment of key public and private sector interests. Even better, we have the shining example of other cities who’ve paved the way before including Bryant Park in New York City, Millenium Park in Chicago, and CityGarden in St. Louis. Each of these parks highlight the power of public-private partnerships to bring urban parks to life, in turn advancing civic and economic goals. In addition to strong templates from which to draw, the last few decades have seen the rise of organizations such as Project for Public Spaces and Urban Land Institute who are conducting the research so much of this progress is built upon. The Pioneer Park Urban Design Assistance Team (an initiative of the coalition, sponsored by the Utah Chapter of the American Institute of Architects) convened in 2015 to update and help bring to fruition concepts outlined in Salt Lake City’s 2006 Pioneer Park Master Plan. The team was comprised of Utah’s prominent urban design community-designers, architects, landscape architects, planners and other technical specialists, working in close coordination with Salt Lake City. The team focused on physical improvements to the Park and neighborhood, to support and address in part many complex community issues of the district. Those issues ranged from homelessness, social services, drug-related crime and prostitution, to housing and neighborhood development, mobility, economic development and Salt Lake City history. In a 4-day period, the team convened for an intensive design “charrette.” This work session generated over 300 hours of pro-bono urban design and planning services, research and technical assistance. The voluntary contributions of the team represented a financial benefit to Salt Lake City of more than $50,000. The coalition led the way for the first phase of development by committing $300,000 to revitalize the park. The improvements include: tearing down the bathrooms which had become public health and safety hazard, creating a multi-use lawn, and installing pedestrian lighting. In December 2017, after coalition's commitment, the Salt Lake City Council approved a $544,000 budget amendment to use capital improvement funds to begin construction. 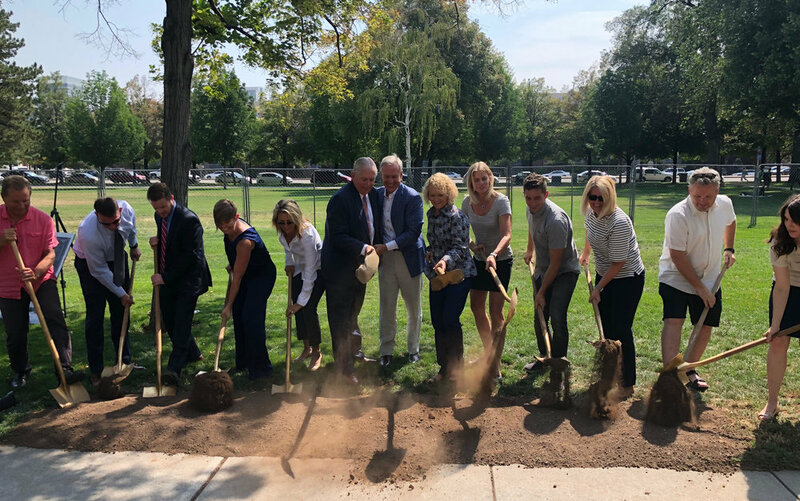 In July 2018, the Salt Lake City RDA committed $90,000 to cover the full shortfall on the park's great lawn construction this year, as construction costs increased. Simultaneously as we have been pushing for this first phase to finish, we are working with the Downtown Community Council, Downtown Alliance, and our Pioneer Park Exploratory Group to put forward a proposal for the second phase to develop the rest of the park to the City Council and Mayor. Beginning this September, we will be reaching out to our members and the larger community to get feedback on the proposal. Stay tuned for updates!